Bahrain Mumtalakat Holding Company said its subsidiary Southern Area Development Company (SADC) will be opening the newly-renovated Hawar Islands Resort next month. 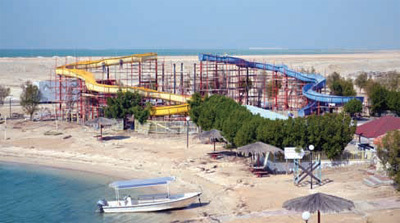 The opening of the resort, which is now part of the Best Western International chain of hotels, coincides with the completion of the first phase of the Hawar Islands redevelopment plan that aims to reinvigorate the popular tourist destination, reported the Gulf Daily News, our sister publication. SADC undertook extensive development and renovation work on the resort and its existing facilities, as well as the hotel suite apartments, and the waterfront, bringing them in line with the region's prominent tourist destinations. This work followed a lease agreement between SADC and V K Universal Property Management in July last year, putting V K Universal is in charge of renting and managing the resort. Following this agreement, SADC put out a series of tenders for maintenance work of the hotel and its facilities, including the replacement of all air conditioning units, the installation of new kitchen equipment, building new swimming pools and enhancing the beachfront adjacent to the hotel. The second phase of the plan will include a major expansion of the hotel facilities, adding a new building with 100 additional rooms. This will take the total number of hotel rooms available at the resort to 140. The second phase will also include complete renovation of all the hotel's beach chalets, as well as the addition of more diverse restaurants, and the construction of a number of new meeting rooms and ballrooms to host various events. Entertainment facilities, such as gyms and cinemas, will also be provided, in order to attract tourists from all over the world, sais the report.